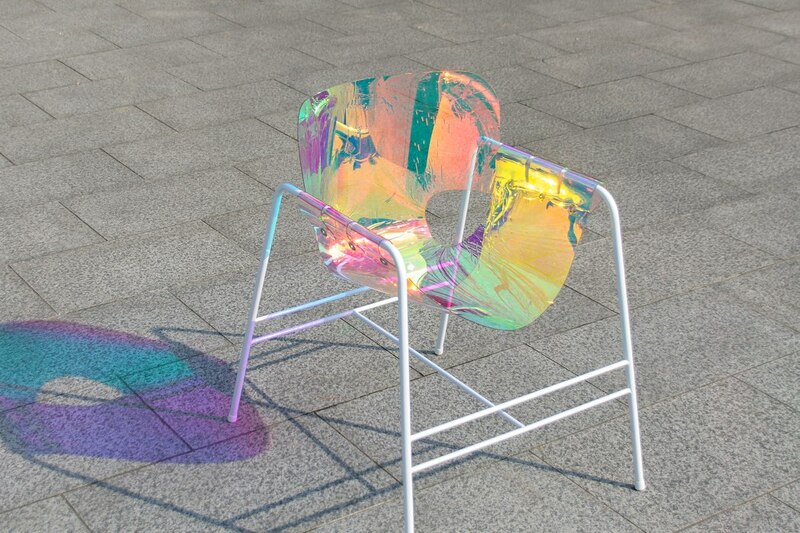 A chair that is able to display the colours of the rainbow? 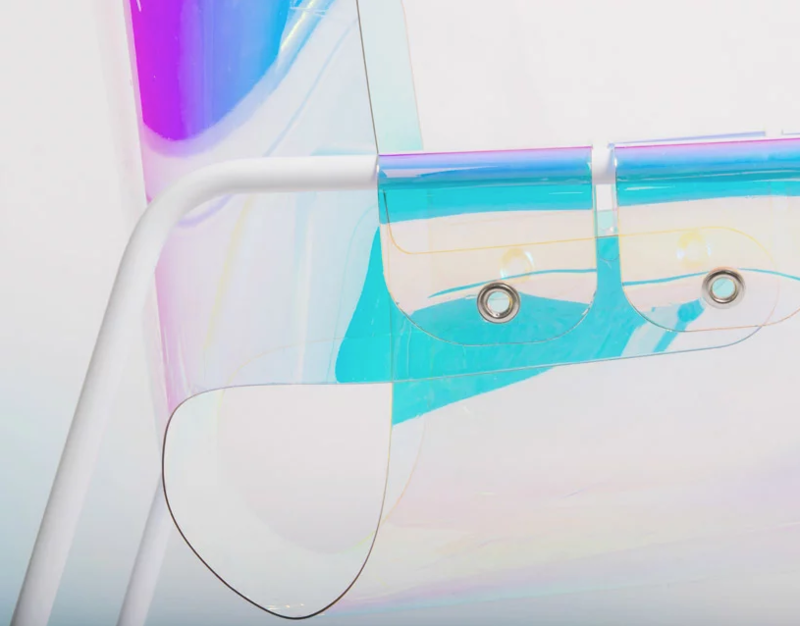 This at least was the challenge successfully met by Taehwan Kim, who has designed a luminous chair with astonishing chromatic properties. 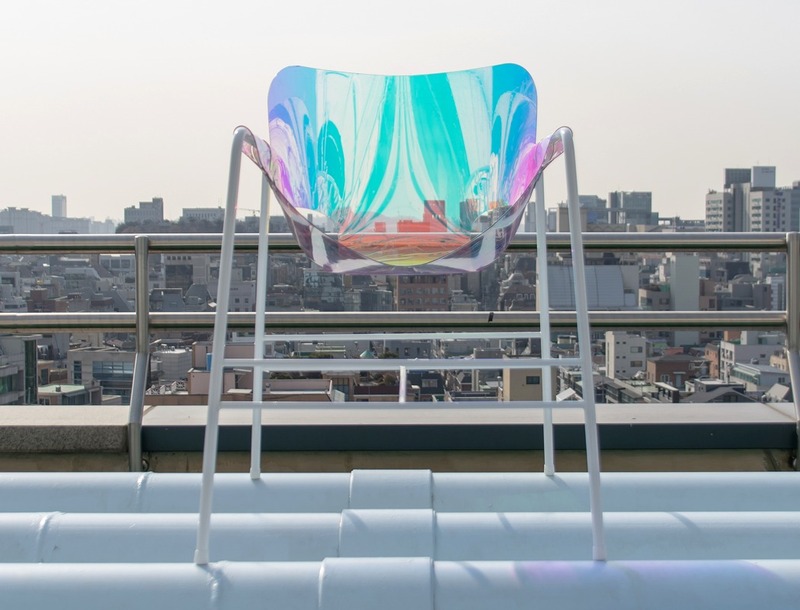 The Korean furniture designer and maker Taehwan Kim has come up with a chair that looks like a luminous leaf, soberly structured by a white frame. What makes it special? A hypnotic rainbow shade that makes this item of furniture a distinctly unique piece. In reality, behind this captivating optical effect lies the use of dichroic films, interference filters with the ability to divide a beam of light into several rays with different spectral components. 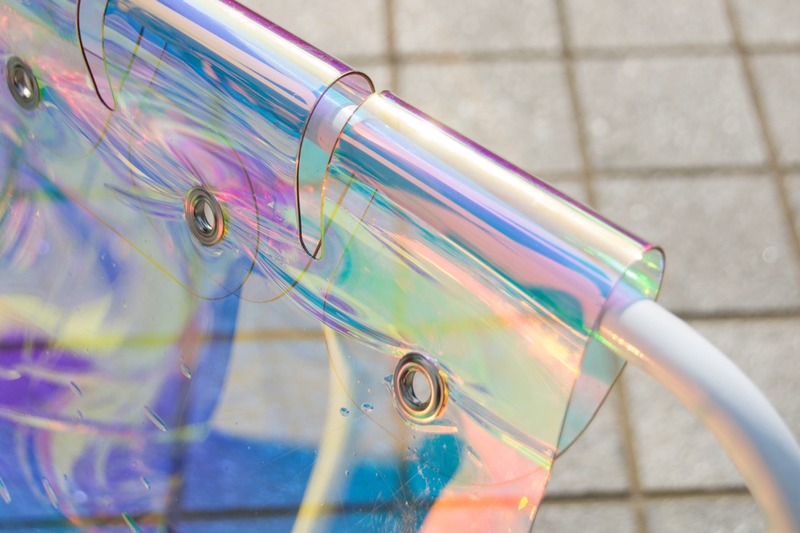 Consequently, the light passing through the filter is altered – as is the shadow reflected by the seat – and therefore visually changes its colour regardless of the angle from which you are standing. However, Taehwan Kim concentrated above all on creating the solid structure of the chair, a white steel frame with a minimalist design to which the seat is attached. The seat, crafted from a polycarbonate sheet, hugs the chair’s fine armrests by means of a simple system of eyelets and adopts an incurved, almost draped form. The backrest is an extension of the base, adapting perfectly to the curves of its (future) user’s body. The end result has a surrealist feel; the chair appears elusive and seems to float above its structure. A bit like a rainbow would.